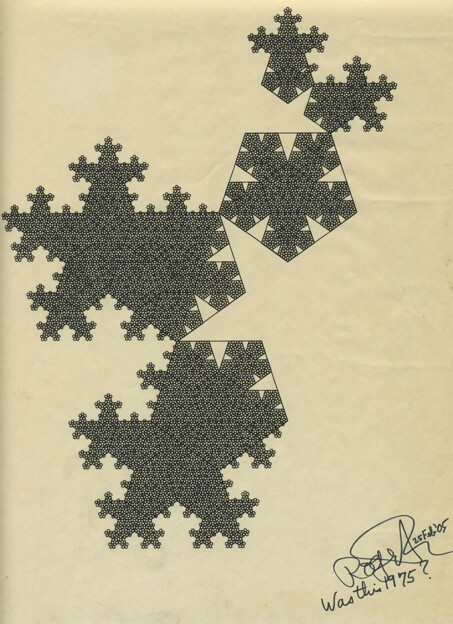 This is a graph-plotter drawing of the Penrose Tiling, created in 1975 while I was at the University of York. It was the first computer-generated version of the pattern. I still have the source code! A version of this pattern was used by my father as the basis for the creation of a light diffraction pattern, correctly predicting the aperiodic structure of Quasicrystals, discovered in 1982 by Dan Shechtman. See Wikipedia for a full description of Quasicrystals and their discovery. Also see details of the Nobel Prize account (PDF). Here is a High Resolution version. 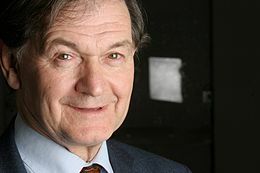 The original was kindly autographed by Roger Penrose in 2005.